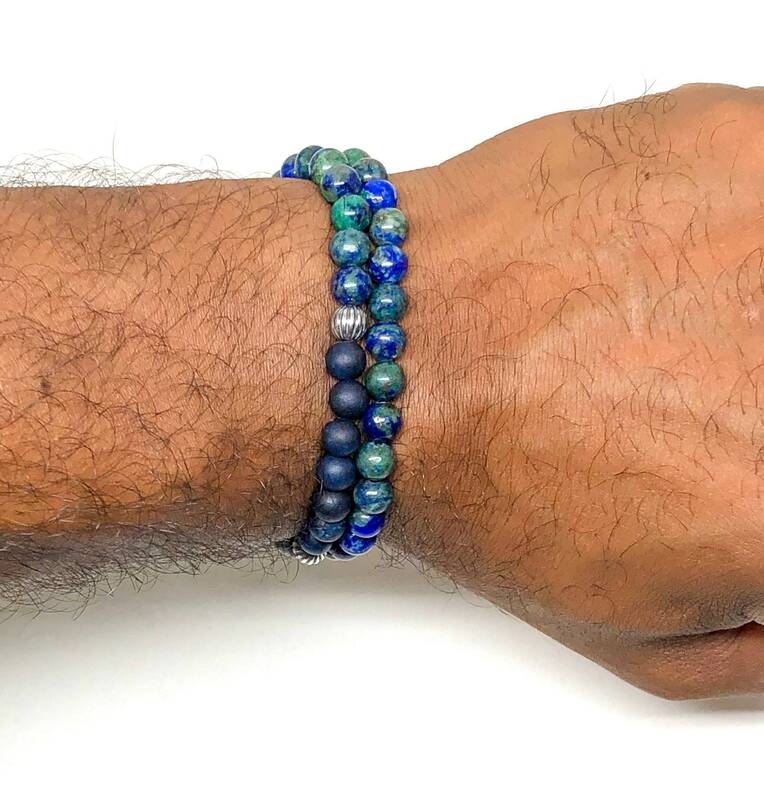 Men's wrap around beaded bracelet with Azurite, dark blue Jade and 925 Silver. 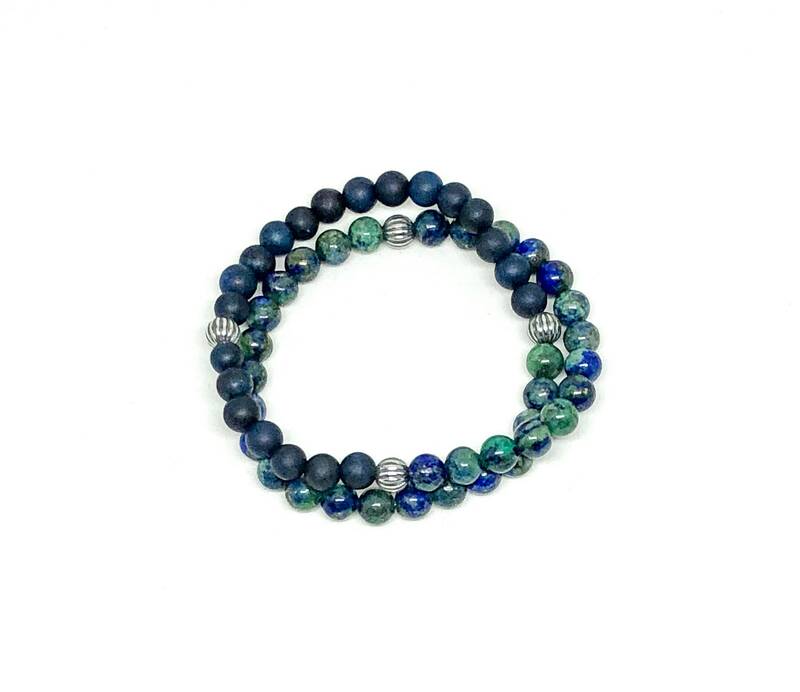 Very stylish wrap around men’s bracelet made with Azurite 6mm, dark blue Jade 6mm and 925 Silver. You can combine this with other bracelets or wear it alone. Can be casual or an everyday piece. Azurite is a soft, deep blue copper mineral produced by weathering of copper ore deposits. In the early 19th century, it was also known as chessylite after the type locality at Chessy-les-Mines near Lyon, France. The mineral, a carbonate with the chemical formula Cu₂, has been known since ancient times, and was mentioned in Pliny the Elder's Natural History under the Greek name kuanos and the Latin name caeruleum. 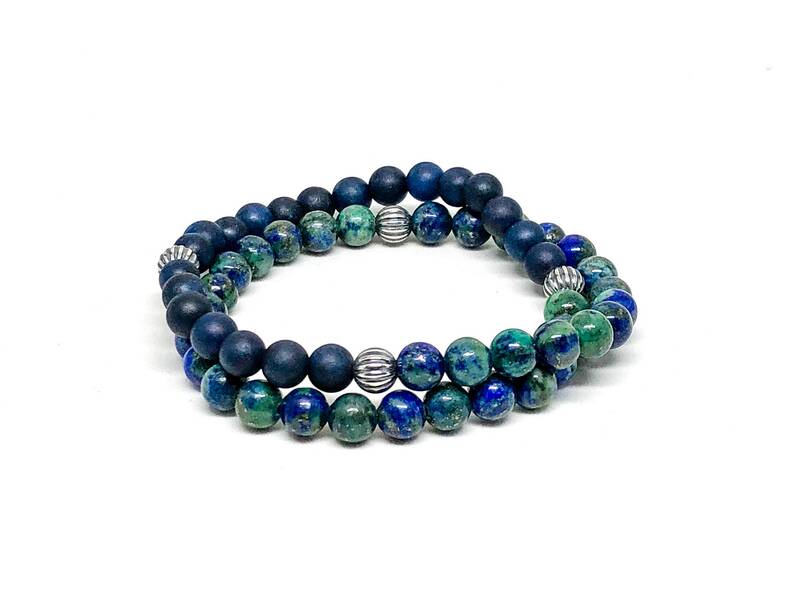 The blue of azurite is exceptionally deep and clear, and for that reason the mineral has tended to be associated since antiquity with the deep blue color of low-humidity desert and winter skies. 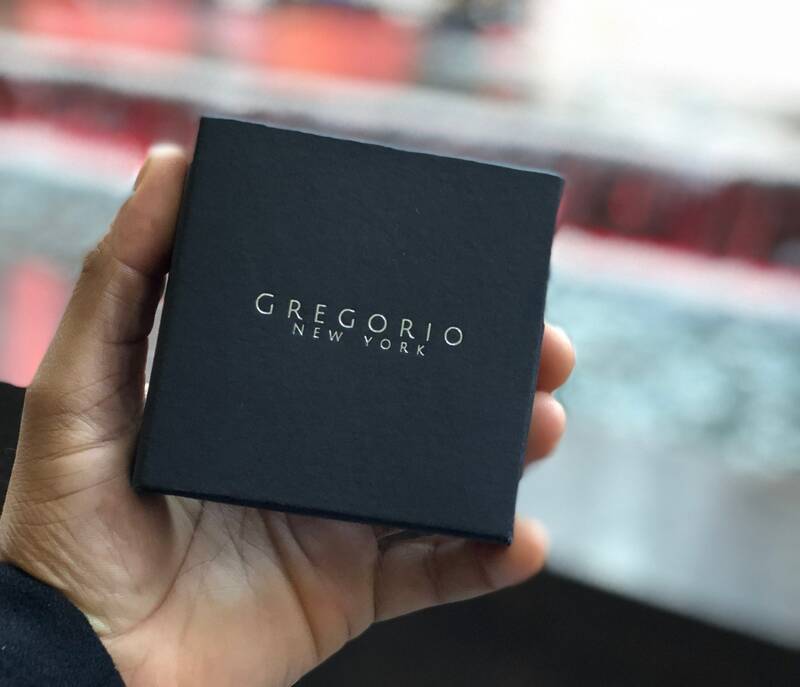 The modern English name of the mineral reflects this association, since both azurite and azure are derived via Arabic from the Persian lazhward, an area known for its deposits of another deep blue stone, lapis lazuli. 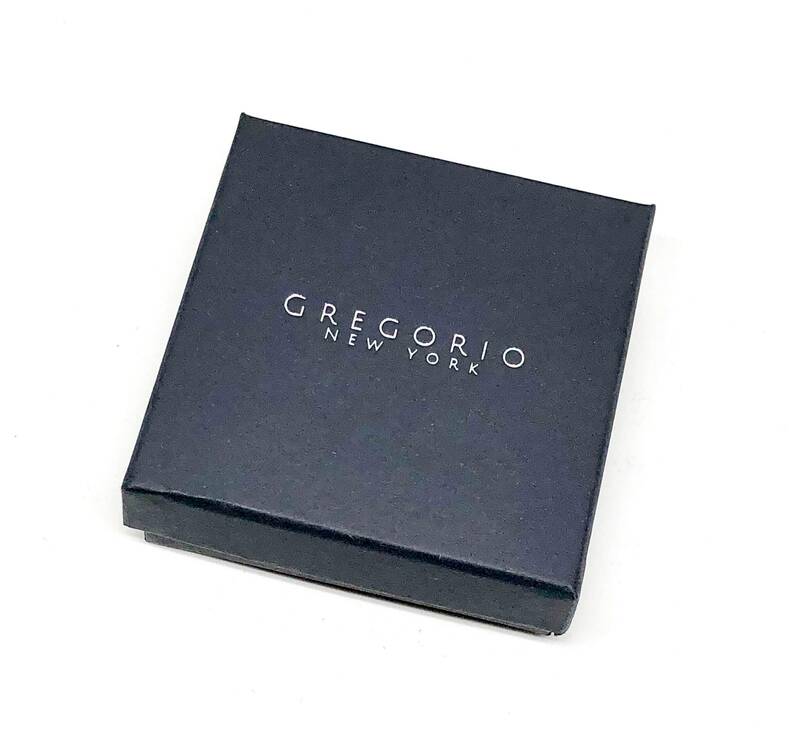 This bracelet will come in a customized jewelry box with our logo.